When I dream of Greece, two things cross my mind: Santorini and feta cheese. Feta cheese is the wonderfully salty, brined curd cheese that is sprinkled on many Mediterranean delicacies and whose roots can be pinpointed back to the days of the Byzantine Empire. Feta cheese is subject to special treatment in the world of food, due to the fact that it has claimed “PDO” status. “PDO” stands for “Protected Designation of Origin”, meaning that the food must be made in a traditional manner and carry out qualities that are determined solely by natural and human factors of its region. Therefore, feta cheese must be made of goat or sheep milk in Greece and nowhere else. 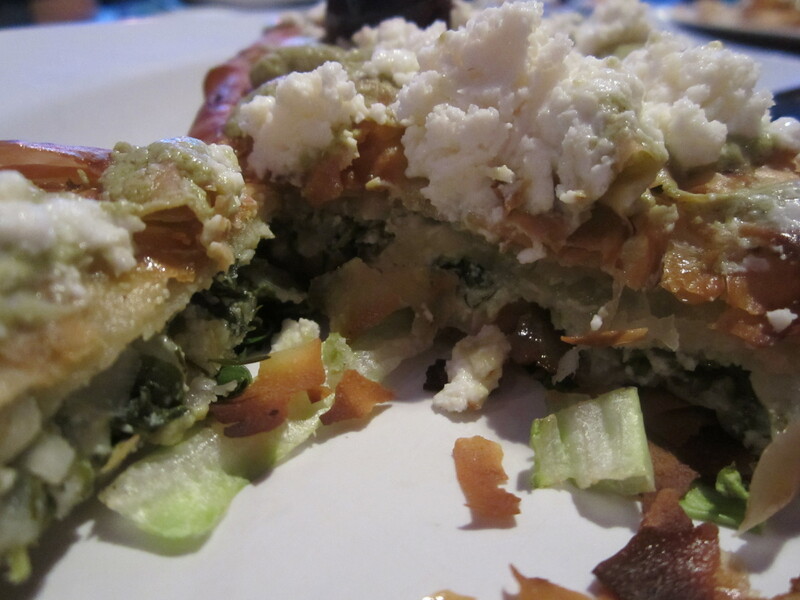 Spanakopita is a Greek spinach pie that is among the traditional feta dishes. With its flaky crust, spinach, crumbled feta cheese, egg and onions, Spanakopita is a traditional way to experience the distinct flavor that feta cheese has to offer. A more modern dish that can be found in select Greek restaurants, such as My Big Fat Greek Restaurant and Daphne’s Greek Cafe, is a dish with french fries and feta cheese. 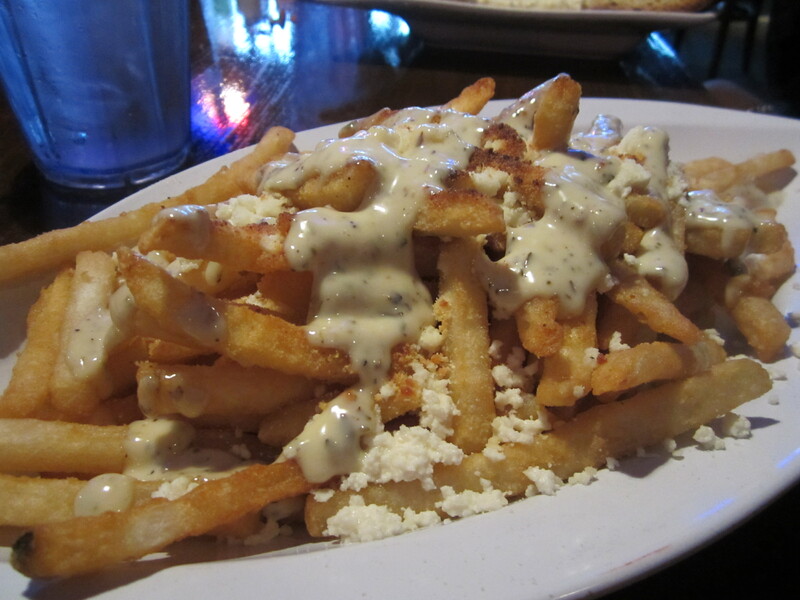 My Big Fat Greek Restaurant serves their “Greek Fries” with french fries, crumbled feta cheese, and a lemon sauce. Each of these dishes offer a unique experience with feta cheese. Feta cheese can also be found on certain dishes such as a traditional Greek salad, or feta cheese and Kalamata olives (also known as Greek olives). Greek can be an intimidating type of food to experiment with, but do not fear, for this is the food of the gods. From lamb to tzatziki, there are many bold, salty, and tangy flavors that will leave you longing for a stroll down the Agios Georgios beach and your taste buds wanting more. One of the very first things that come to my mind when travel is mentioned, is the food. Food is a significant part of culture and can go as far as defining culture itself. It’s not often that you are able to come across a culture whose signature dish is all that similar to that of another. Travel has always been a passion of mine and there is nothing more exciting than experiencing different cultures and habits associated with each destination. Although my travels haven’t consisted of faraway lands and obscure places, I aspire to visit a multitude of different countries before I die. Add it to the bucket list if you will, as cliché as it may be. My travel aspirations have a purpose and that purpose is to completely immerse myself in the culture of wherever it is that I happen to visit. But what really grabs my attention is the food. Food can say so much about a culture. Food can have a historical background, give insight to economic status, and compiled of various flavors and ingredients, food can describe the geographical location. Food isn’t just something that we consume. It’s a cultural experience in itself. With that being said, che mangiamo? What shall we eat?